On New Year’s Eve we (unfortunately) saw one of the best (worst) examples of the shameless promotion of the commercialization of marijuana. 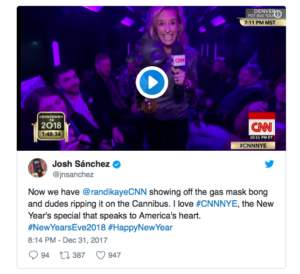 A CNN reporter thought it was a good idea to show off the use of a gas mask bong which is being characterized as a move that “…speaks to America’s heart.”. Her special coverage of the pot bus was aired for millions to see. Imagine if she were lighting cigarettes or helping people with keg stands? And what’s still a big difference from marijuana, tobacco, and alcohol?! Marijuana is still federally illegal. It’s extremely upsetting, especially for the families expecting an innocent and professional coverage of the New Year’s celebration. As the father of two young children I am disgusted by their disregard for the public and the promotion of such provocative content. Clearly, CNN is selling out and is completely comfortable being the go to “Marijuana Commercialization News Network”. 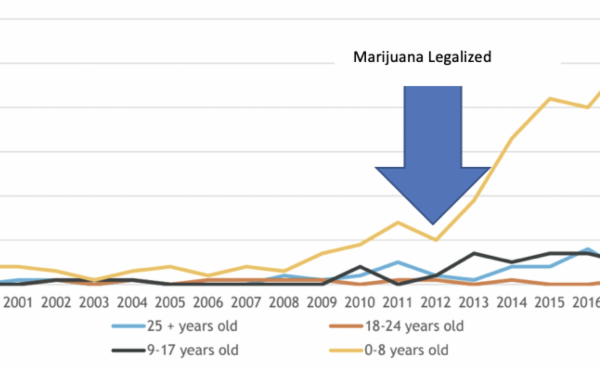 Frankly we couldn’t have ask for a better example of the negative impact of the desire for marijuana to be the fourth legal drug in our country. Is this the world we want to live in? News outlets showing off their love for gas mask bongs and riding around on marijuana commercialization busses? 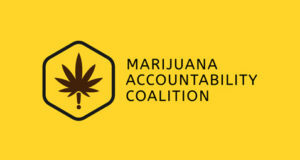 We will keep fearlessly investigating, exposing, challenging, and holding the marijuana industry accountable.